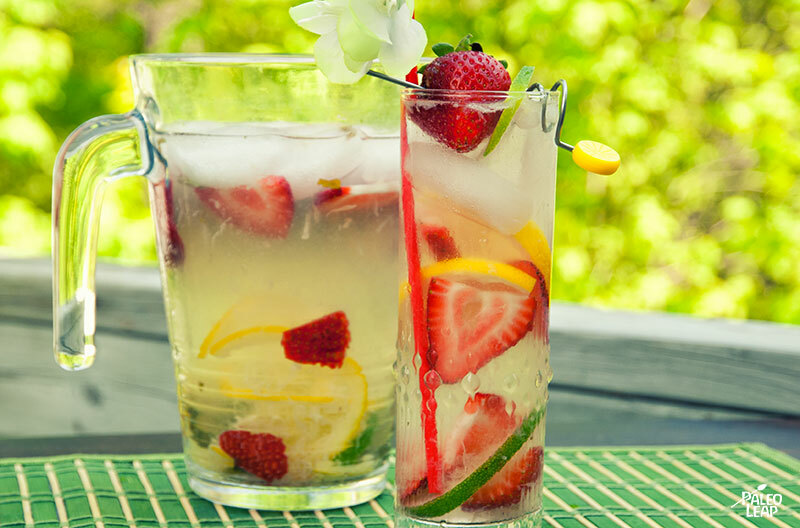 What summer afternoon would be complete without a cold glass of lemonade? There’s a classic lemonade recipe here, but if you’re looking for something a little more distinctive, why not jazz it up with some coconut and fruit? As well as being a delicious treat, this is also the ideal post-workout recovery drink for the hot summer months. A brutal WOD in a box without air conditioning, or even a quick jog in 90-degree heat can really take it out of you, and dehydration and electrolyte loss are nobody’s friends. So once you’re done sweating it out, stir up a batch of lemonade to rehydrate and replenish your electrolyte stores. Coconut water is full of potassium to help prevent muscle cramping, and the mint and citrus add a very pleasant zing. If you’ve really been sweating, you could also add a pinch of salt – not enough for you to taste the difference, but enough to help you recover. For a bit of extra flavor, this recipe calls for strawberries, but you can replace this with any type of fruit. Blueberries would also be good, or try pineapple to keep with the tropical coconut theme. Some honey is optional if you like your lemonade a little sweeter. Toss in whatever you like, and then just stick it in the fridge while you take advantage of the hot weather to work up a thirst. By the time you get back, it’ll be chilled and ready to enjoy. SERVES: 2 PREP: 10 min. 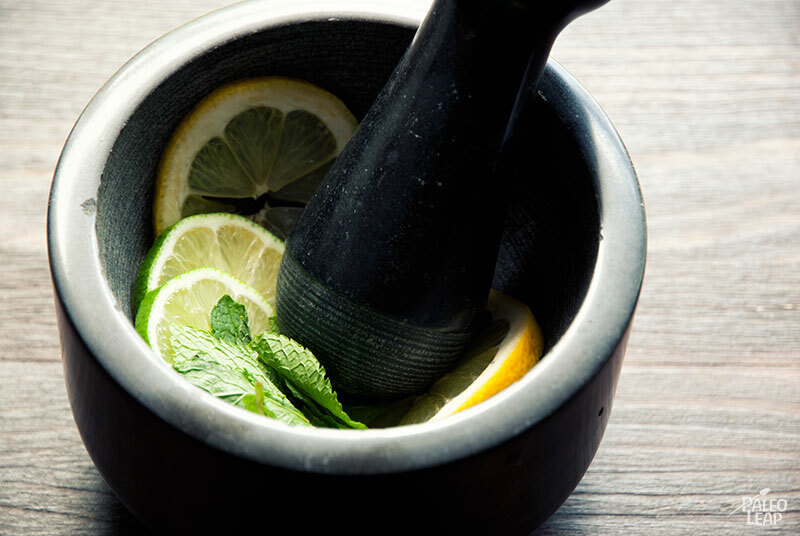 Mash the mint, lemon, and lime slices with a mortar and pestle. Scoop the mashed-up mixture into a lemonade pitcher and add the lemon and lime juice. Add all the remaining ingredients, give a good stir, and chill.